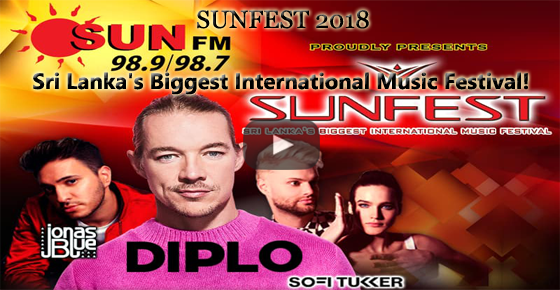 Sun FM Sunfest 2018 Sri Lanka with Diplo, Jonas Blue & Sofi Tukker. 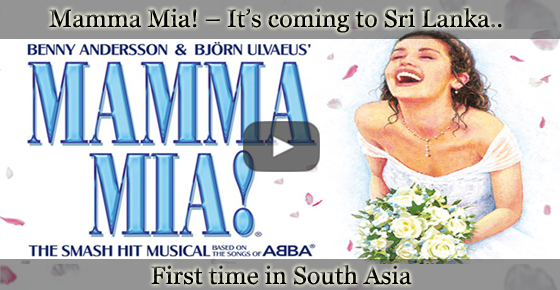 Sri Lanka's Biggest International Music Festival. Sun FM is proud to present the Sunfest 2018 Sri Lanka with Diplo, Jonas Blue and Sofi Tukker, which is Sri Lanka's largest international music festival, cited by its host. Diplo, is an American DJ and record producer based in Los Angeles, California. Diplo figured in a few popular songs. Jonas Blue, English DJ, record producer, singer, songwriter and re-mixer, based in London, produces music that combines dance music and pop sensibilities. Jonas Blue was known for few popular songs. Sofi Tukker is a New York based American music duo composed of Sophie Hawley-Weld and Tucker Halpern. Sofi Tukker appeared in an advertisement at Apple's iPhone X and was known for few popular music tracks.